In 1910, a major world missions conference was held in Edinburgh. 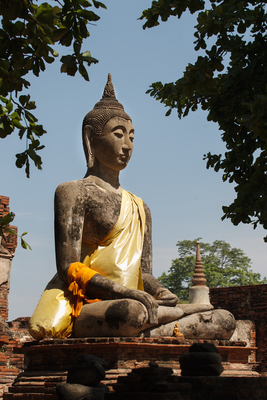 Those present held hope for evangelism among the followers of eastern religions. The well-developed philosophical positions of those religions appealed to Europeans and American academics. Not a few Westerners romanticized Hinduism as a new world religion. We all know the attraction of eastern gurus in some segments of US society. In contrast to the appeal of eastern religions, the missions conference came to the conclusion that the “primitive” religions of Africa would prove difficult ground for Christian faith. Many Western Christians find the masks, face paints, and rituals of African religion scary, barbaric and primitive – something so different from Christian faith that it could not possibly be fertile ground for evangelism – a religion that held no redeeming qualities such as eastern religions seemed to have. Africa’s traditional religions are called “primal” religions by theologians, and anthropologists. Those at the conference saw Africa’s primal religions as rocky ground where the seed of the Gospel would struggle to survive, while the Eastern would produce a bountiful crop. It has not turned out that way; not at all. In 1910 when the missions conference was held, only 9% of Africans were Christian. Furthermore, almost all of those were in just four of the many countries in Africa: Ethiopia, South Africa, Egypt and Madagascar. Early missionary efforts had not borne fruit. 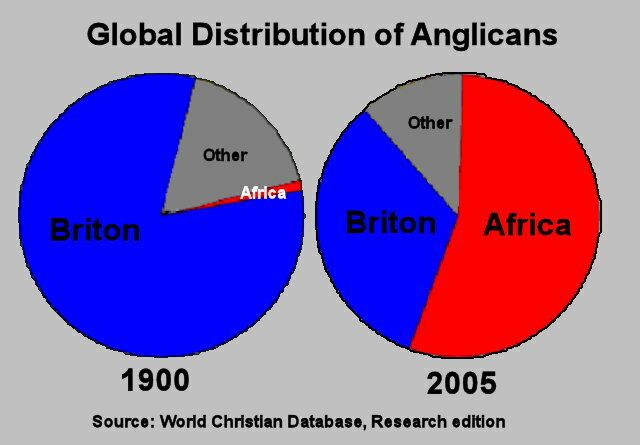 But by 1970 almost 40% of Africans professed Christian faith. That number is for all kinds of “Christians”. 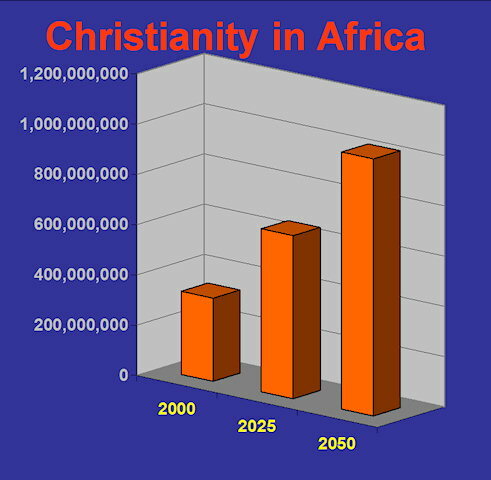 What is more astounding is the growth of evangelical, Bible-believing faith in Africa, as you can see in the graph. Meanwhile, evangelism among those following eastern religions has been very slow. 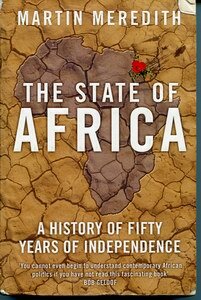 But this is not just an African phenomenon. In the last century Christianity has spread the fastest among peoples who follow what theologians and anthropologists call “primal” religions. This is true in Africa and around the world. It seems that people who follow the so-called “primal” religions are the best prepared by their traditional religion for Christian faith. In any case, the conclusions of that missions conference in 1910 were way off the mark. God has a delicious way of turning the human wisdom into obvious folly. In this case, he has chosen those whose religious practices we considered primitive, vile, even barbaric, and poured out his Spirit on them. Paul wrote about things like this. I believe that the confounding of the powerful and sophisticated is in full swing. But sometimes missionaries seem to miss it. I wonder if some mission activity in Africa goes on as though a major movement of God were not happening. The kind of growth in numbers, depth and capacity we see in the church in Africa must be matched by an equally significant shift in how we do translation here. Otherwise we effectively deny by our actions the marvelous thing God is doing. Let’s not make the blunder of painting our African brothers and sisters with the same mistaken brush used in 1910. Our methods and goals need to align with and celebrate the awe-inspiring movement of God’s Spirit among people who are coming out of primal religions. 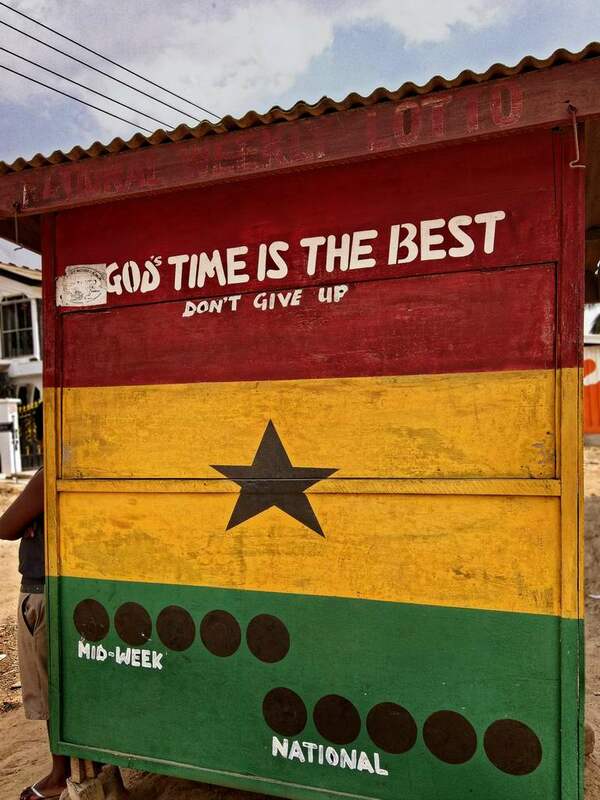 Over 60 languages are spoken in Ghana. That means more than just 60 languages. It means that many different people groups, each with their own ethnic identity and religious beliefs. 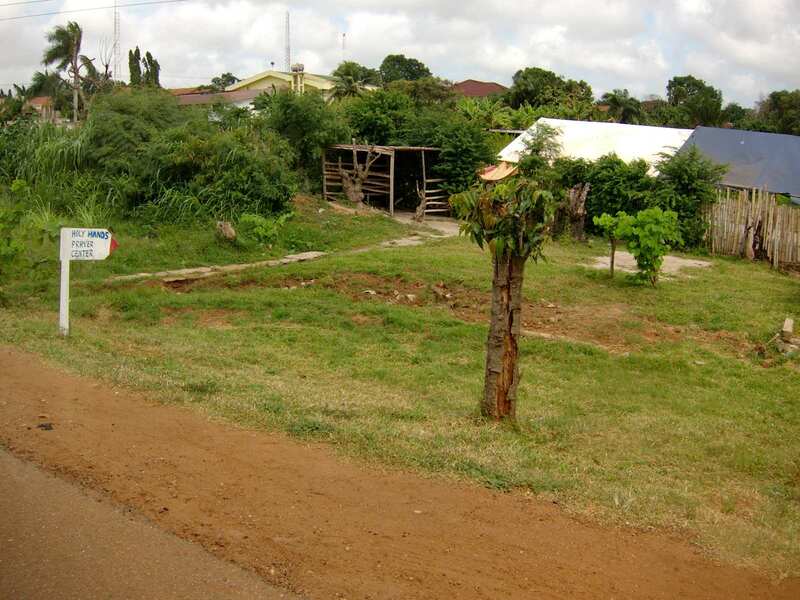 You might imagine that each of those people groups lived in its own area with nice, discrete boundaries. The reality is much more complex. People groups often overlap, at least near the borders of each group. Many people from nearby areas, or even far away, move into small towns, creating a rich tapestry of ethnic identities. On Sundays, churches deal with believers from multiple languages and with multiple traditional beliefs. The idea that each language group has its own area where people worship in their own language is still accurate in some places, but its is fast becoming the exception. 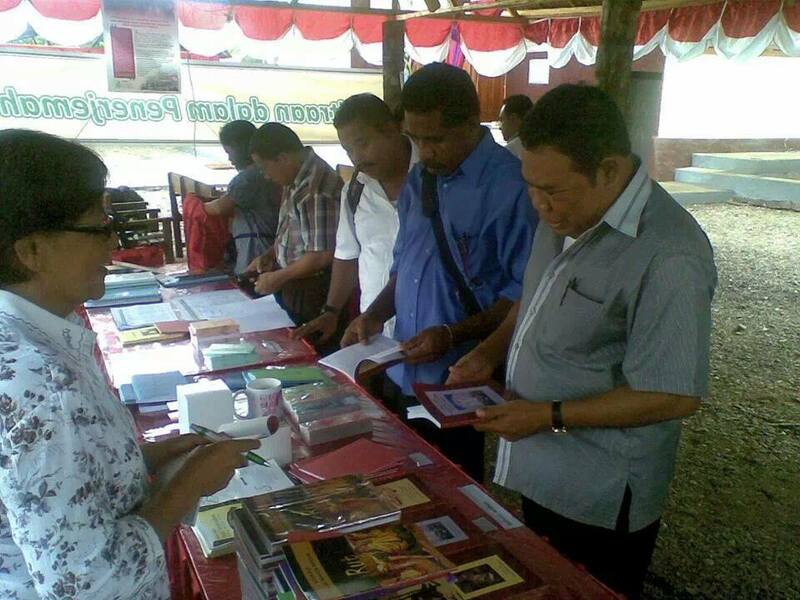 In the photo, taken at a church conference in Indonesia, the Scriptures are for sale in 13 different languages, which probably does not cover all the languages of the Christians at the conference. 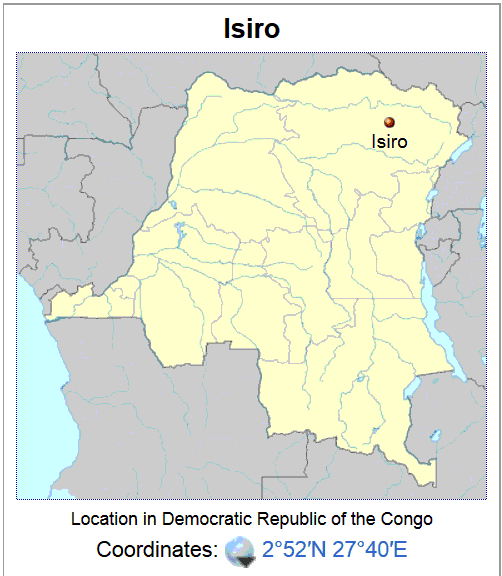 In Africa, the meetings at such conference is conducted in a national or regional language. Delegates are chosen who speak that language. 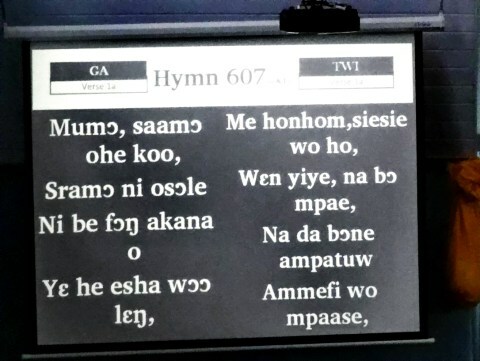 Singing hymns in two Ghanaian languages as the same time. This was at a business meeting conducted in English. Figuring out how to be one, unified church while making sure that everyone hears the message in a language they fully understand is a challenge. There are many approaches, such as having more than one service each in a different language, then once a month having a unified service in a regional or national language. Some churches conduct services in two languages. But translating everything is time consuming plus it is difficult for listeners to stay focused when every other sentence is in a language they don’t understand. 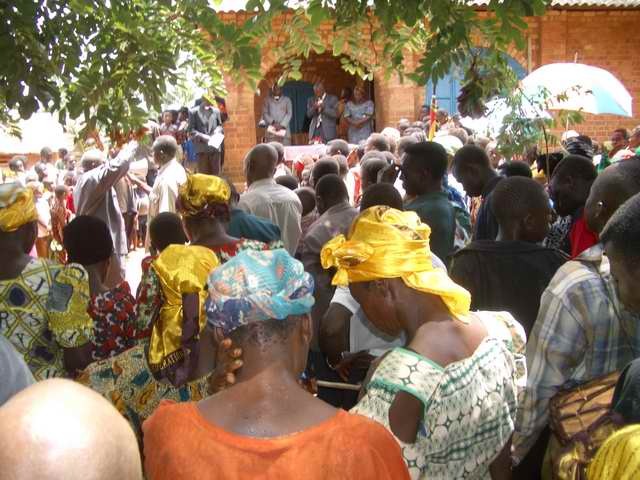 Others have church services in a regional or national language, and home Bible studies in local languages. There are no easy answers. But some ignore the issue altogether and do everything in a regional or official language. But that leaves those most disadvantaged in that language to fend for themselves. It is hard to imagine how a person can become a thriving Christian while understanding only a fraction of the Bible and the teaching and preaching in church. 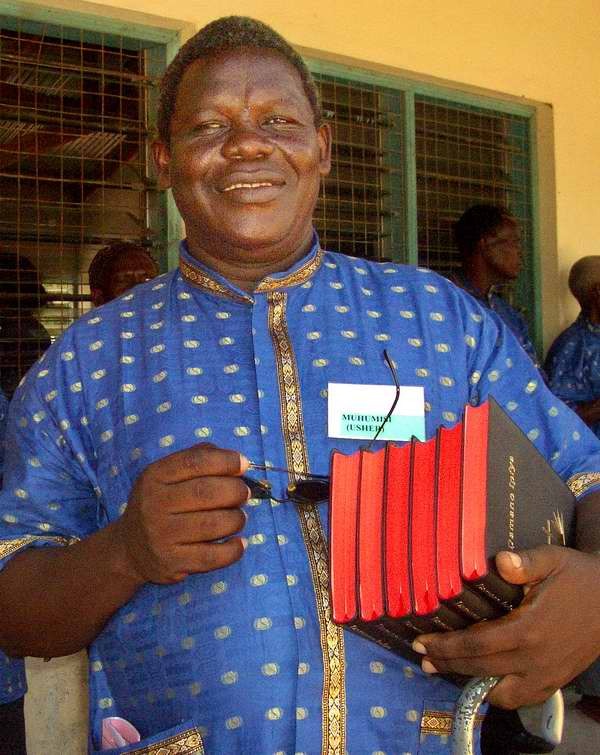 Engaging the church in Africa in dialog about its multilingual environment is an important part of seeing that Bible translation in African languages are used to their full potential. Bringing new Christians still steeped in their traditional religion into a full understanding of their faith and into joyful walk with Christ is a stiff challenge if the language of the church leaves them out. Effectively addressing the complex linguistic situation facing the church is crucial to a healthy future for the church in Africa, one of the world’s largest. That is why one of our strategic goals is that “use of the translations in the mother tongue will be sustained and growing”. To that end, I am one of a small team working to organize a conference of church leaders in November which will raise awareness of this issue and try to find ways to address it. 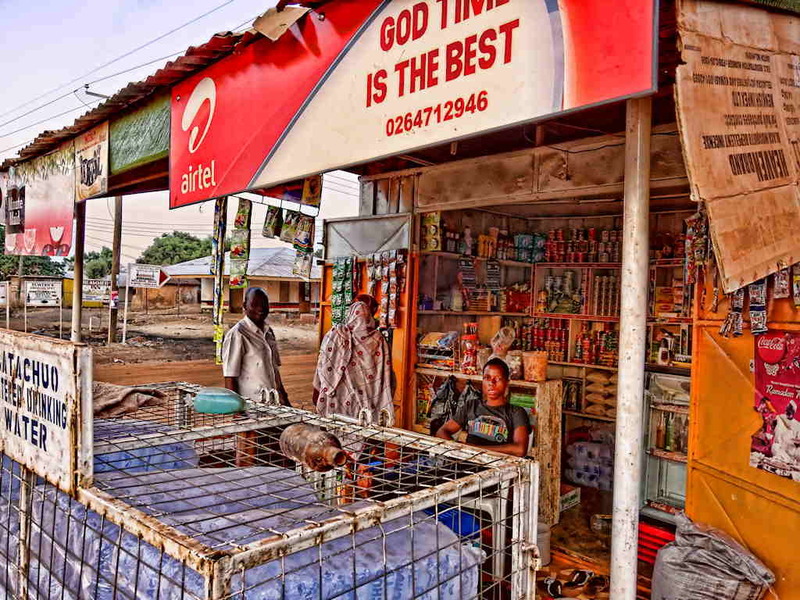 On July 1, 2010, the Economist magazine published an article entitled “Slain by the spirit: The rise of Christian fundamentalism in the Horn of Africa“. 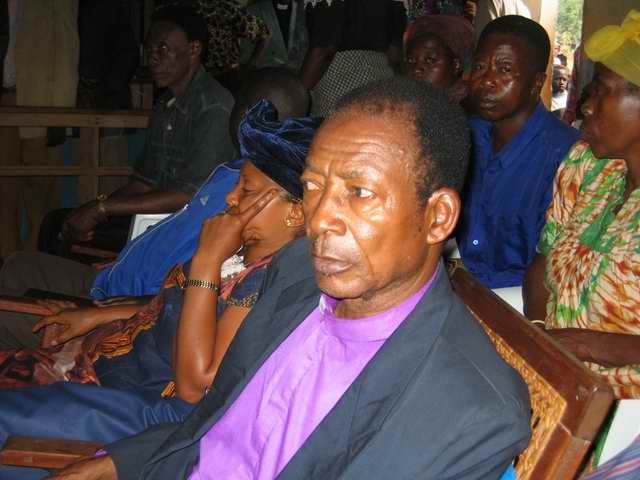 The article notes that “… about 17m Africans described themselves as born-again Christians in 1970. Today the figure has soared to more than 400m, which accounts for over a third of Africa’s population”. An increase of 383 million born-again Christians in 40 years is a “revival”. If one-third of Americans became born-again believers in 40 years it would not go unnoticed. The Economist notes that the new churches believe in the spiritual world and in engaging in spiritual battles. (Although the authors mistakenly attribute this to elements of traditional religion creeping into Christian faith.) Like the Economist, others have noticed that “the new churches” believe the Bible, believe in God’s action in this world, and believe that evangelism is a primary call of the church. 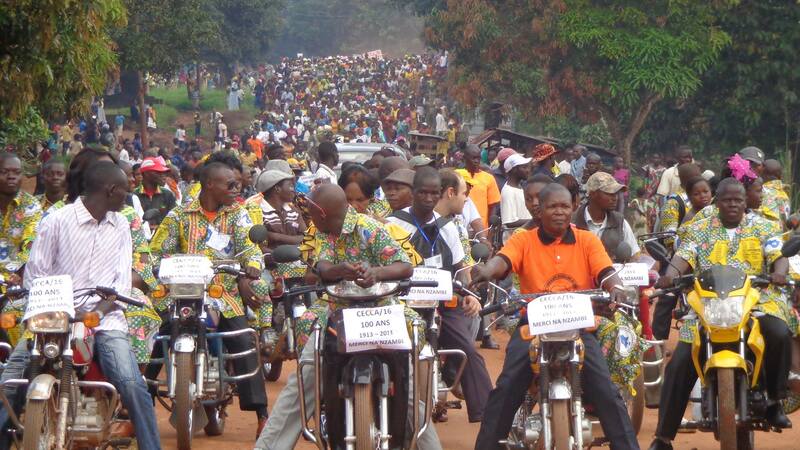 Indeed, these churches undertake their own successful evangelism and missions activities. 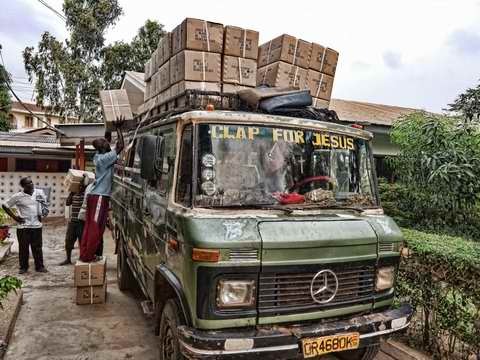 A CNN blog – the Gospel according to Kenyan cabbies – notes the similar things happening in Kenya. The Economist accurately notes that these churches display weaknesses. There are plenty of hucksters. One finds posturing for political or economic gain by church leaders. But then, the Apostle Paul noted some of these same problems way back in the first century. So what? Why is this news important? What does it mean? Answering those questions would take many pages. So I will limit myself to two. 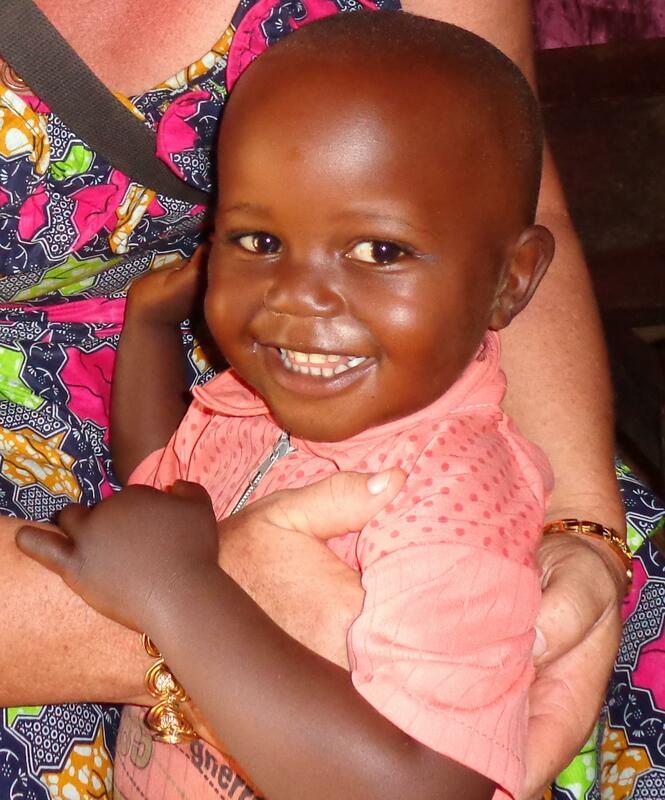 First, one of the main reasons to support missions is that in the long run it is hugely successful so you will get big bang for your giving dollar. Second, it changes the way we do Bible translation. 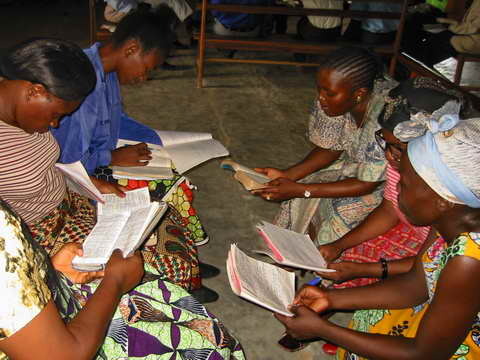 The “new churches” are key partners for Bible translation. They have educated people, can raise lots of prayer support, and they already run successful outreach programs. Doing translation in Africa without involving them would be like trying to engage in real estate or house construction without business partners that give mortgages. The days when Bible translation can be done successfully as an isolated way by someone coming in from the outside are gone. I am privileged to be doing some work in Ghana to enhance the inv olvement of the churches there . Their leaders are convinced that the time is now for them to take the lead role in getting the Bible into all the languages of Ghana. Helping them understand how to do that is great fun and a wonderful privilege. I just love it. 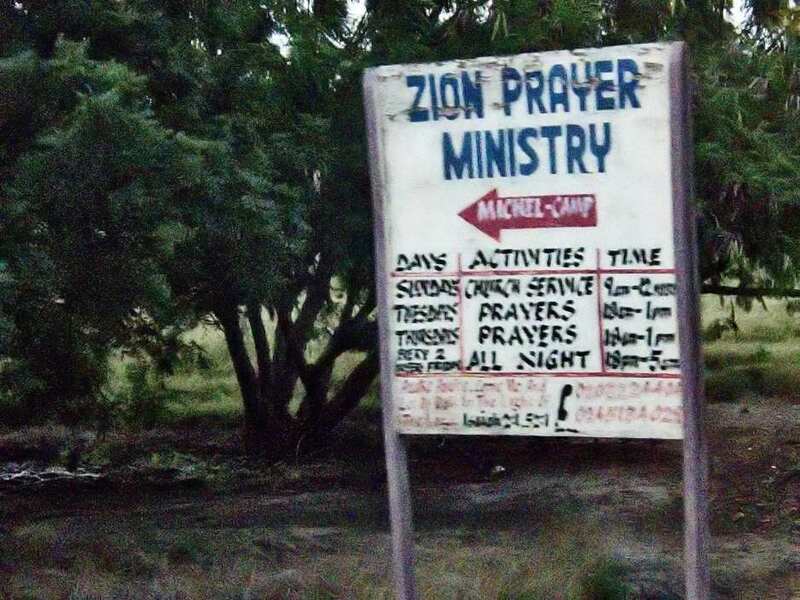 Ghana is full of signs of Christianity – literally. There are signs on vehicles, on business and even billboards that bear unmistakably Christian messages. Some of them are a bit exaggerated or even humorous such as the “Last Stop Christian Centre”. On my recent road trip from Accra to Tamale, we stopped to grab a bite to eat and found a group of ladies from a church selling “Shalom Delicious Bread” and “Jesus is Alive” bread. In addition to English, one of the bread stands had a blurb in the Thwi language meaning “Jesus is risen”. They readily talked about their faith and started witnessing to me. 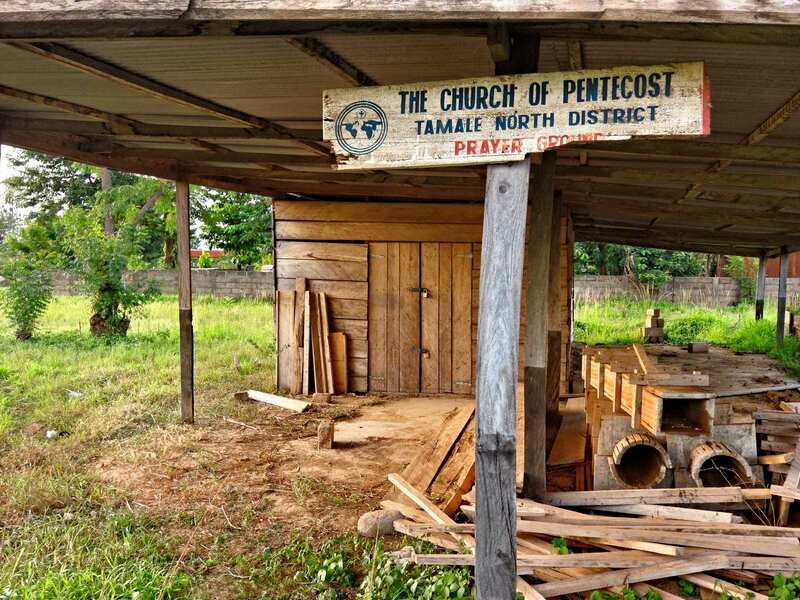 The growth of Christianity in Ghana is part of a much wider phenomenon. 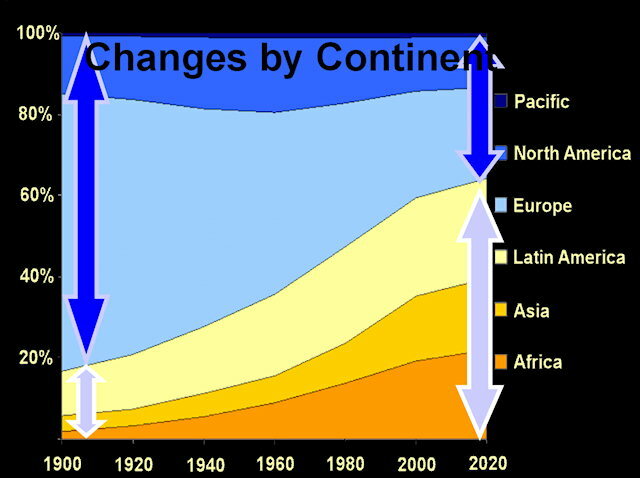 Christianity is growing by leaps and bounds in Africa, South America, parts of Asia and the Pacific. Even as Christianity shrinks in Europe and large parts of American society are cutting ties with its Judeo-Christian heritage, people in other parts of the world are adopting faith in Christ in the largest numbers in history. In the next decade or two, Africa will become the center of world Christianity at least in terms of sheer numbers of Christians. The title “Whose religion is Christianity” is borrowed from a book by Lamin Sanneh, an African, a believer and a professor at Yale. The book analyses the shifts taking place. Anyone who believes that Christianity is a western religion is way behind the times. Billboards advertising all kinds of churches can be found alongside the roads in Ghana. Accra, the capital, has a number of growing and vibrant mega-churches. 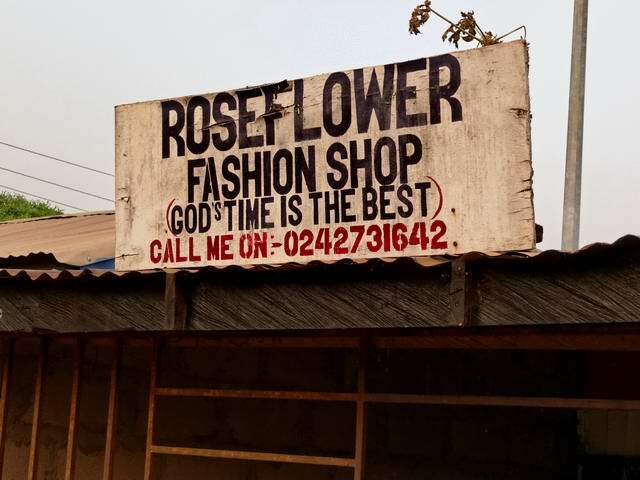 We drove by one when I came back to Accra. 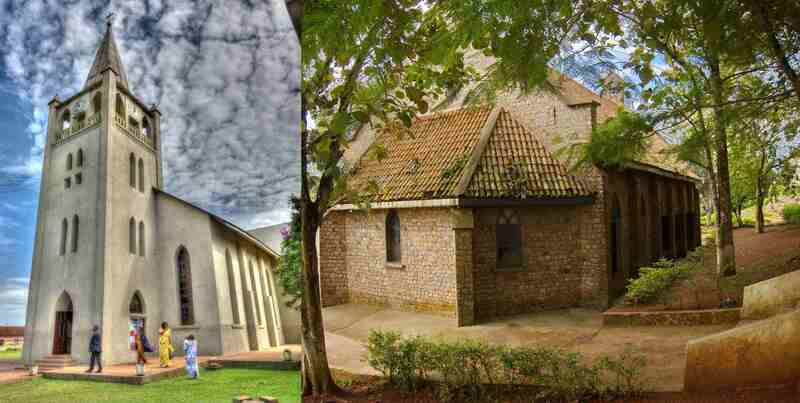 One of these mega—churches started a Christian university with money raised in Ghana! 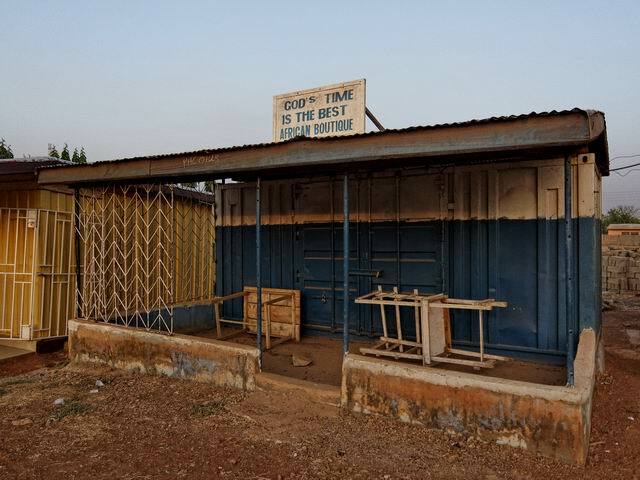 Christians in the growing Ghanaian middle class are filling those churches, giving to all kinds of ministries and organizing outreach in the cities and in the more remote rural areas. This has happened in the last 20 years, which makes me wonder what more will happen in the next 20. Of course, not all is roses. There are sects. Some call themselves believers but their lives do not bear witness to that. But these things are true all over the world. Other things are right on target. Look up Deuteronomy 15:11 and see how appropriate that text is in the poorest continent. My 18 days in Ghana were spent working with a Ghanaian Christian organization full of articulate, dedicated Ghanaian Christians who want all the peoples of Ghana to be blessed with God’s Word in their own languages. The churches are behind them. They are even talking about sending Ghanaians to do translations in other countries in Africa. I was part of a team, itself mostly African, sharing with them about how to make the work go faster and have greater impact. It looks like I will be blessed to make some more trips to work with them in defining specific ways to fulfill their vision. It is so exciting to live in these days. God is at work in this world! If you are discouraged about what is happening where you are, lift your eyes!